With the real presidential election in the United States turning into a bigger and bigger garbage fire, the idea of retreating into a fantasy world and ignoring reality is sounding more and more appealing. To that end, HBO has launched a political party of its own that takes these real-life politics and puts them through a fun Game Of Thrones filter. The movement is known as “The GOT Party,” and it has a website where you can learn all about the party and help select who will be its official nominee. It’s a lot like those conventions from the last few weeks, but fewer people get beheaded, burned alive, or fed to hungry dogs. At the end of the month, the votes will be tallied and the winner will…get something? We’re not sure, as this isn’t an actual political party and its nominee won’t really be on the ballots in November (even if some of them would be an improvement), but surely something will happen come September. Either way, the candidates in the running are Daenerys Targaryen (mother of dragons, breaker of chains, etc. ), Jon Snow, Cersei Lannister, and Petyr “Littlefinger” Baelish. The GOT Party website has a page for each one that lays out their platform, and there are some fun nods to the show buried throughout the whole thing. The site even has a bunch of campaign graphics you can share on social media, as well as shirts and a “DIY kit” so you can make your own bumper stickers or whatever. 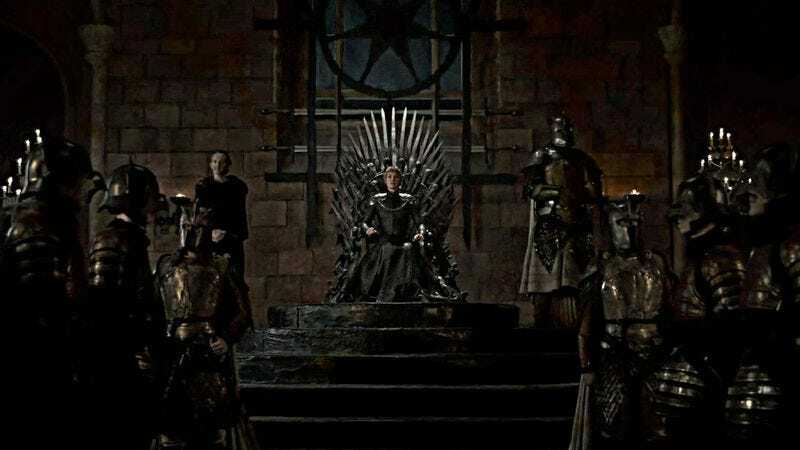 There are also links to buy the new season of Game Of Thrones on DVD, blu-ray, and whatever digital distribution service you prefer, because just like real political parties, this whole thing is just an elaborate scheme to make money.